Lore of the Dragonslayer champions. Dragons – this is a plague of the Runeterra that always brought a lot of trouble to its inhabitants. But despite all the danger that represents this kind, there will always be those who will be able to confront these monsters. And what’s the good story without a charismatic villain or the villains? Only one sorceress Zyra stand on the Dragon’s side. She saw with own eyes how her race was wiped out and now she will do everything in her power to prevent another genocide. And only Dragon Sorceress Zyra stand against them. So let’s start with the beautiful part of our Dragonslayer LoL skin overview. Long story short – Zyra was a predatory plant all representations which have become extinct because of starvation since no one walked in the land where they lived. But once the young enchantress dared to enter this thicket. Zyra swallowed magic from her victim and use it to transform herself into something, that looks like a human. At that moment she reborn in something new. But why she decide to help dragons? Riot tells us in the preview to the Dragon Sorceress Zyra. Dragon Sorceress Zyra skin gets all new in-game model, and now she represented to us like a mother of dragons. Even all her abilities were changed: New wing animation on idle; [E] – Grasping Roots, [R] – Stranglethorns. As all other skins, she gets new Recall animation as well. While she uses dragons with her all new abilities old sounds will sound strange, so Riots decided to change all SFX in Dragon Sorceress Zyra. And of course particles! everyone love new particles! So what can I say about this skin? Price is good, and quality of this skin is high too. But the main trouble is in the color scheme. These dark purple colors are not fitting into the dragon theme, but this is just my opinion. Should be mentioned that Zyra is a strong support pick among LoL elo boosters. You can buy LoL skin – Dragon Sorceress Zyra in the game shop for 1350 RP. Xin Zhao is a shield of the Demacia, his eternal vigilance, silent and mysterious behavior gave rise to many rumors of his origin but what was never questioned it is his devotion to the ruling dynasty. And to this day, Xin Zhao is fighting for his homeland in memory of the man saved him from hell, and bring the joy of the normal life to him. So once the Dragon threat showed itself, Xin Zhao joined the ranks of Dragonslayers. Dragonslayer Xin Zhao looks awesome in red, but if you prefer other colors then rejoice because Riots release chromas with this skin. It is the first time Riots done this! So save your RP and wait for a bundle. And what about his new model? We saw Xin Zhao in armor a lot, but this model is much smoother than others. He received all new model and textures, Xin Zhao’s spear now burning from time to time, and he got a pack of new animations to his abilities and recall. Of course, Riots do not forget about new sound effects and replaced all of them. 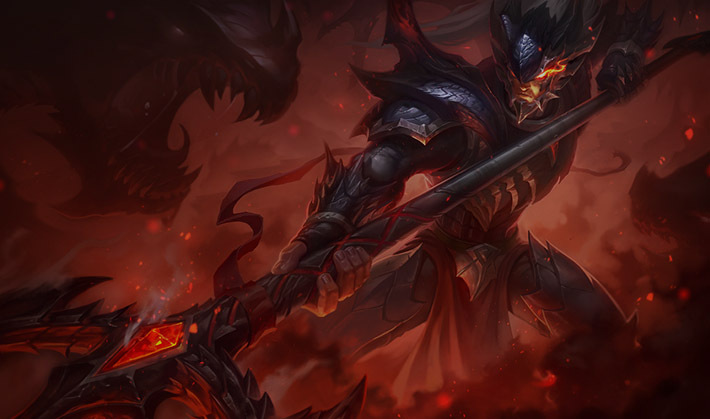 You can buy LoL skin – Dragonslayer Xin Zhao in the game shop for 1350 RP. Braum is a man of high morality, and due to his past acts, he simply could not leave the poor peoples in the distress. As soon as he learned about the Dragons, he took his huge door, which he used as a shield and joined the ranks of Dragonslayers. Dragon fire consumed the world. But from the embers, heroes were forged. As a Dragonslayer Xin Zhao, Dragonslayer Braum received chromas to his new skins. Originally it colored in deep red and orange colors, but with these new color schemes, you can choose any color what you want. Dragonslayer Braum represented to us like a heavy armored warrior that wielding a dragon-shaped shield. As you can see all his model was completely reworked, and with the model, he got new particles for shield’s dragon eyes and red particles to all his attacks and abilities. His animations are unchanged except new Joke and Recall. But Riots made a really great work with his sound effects. They are completely new and sounds great. Hi-quality skin for only 975 RP, I highly recommend to buy it if you a Braum-player. 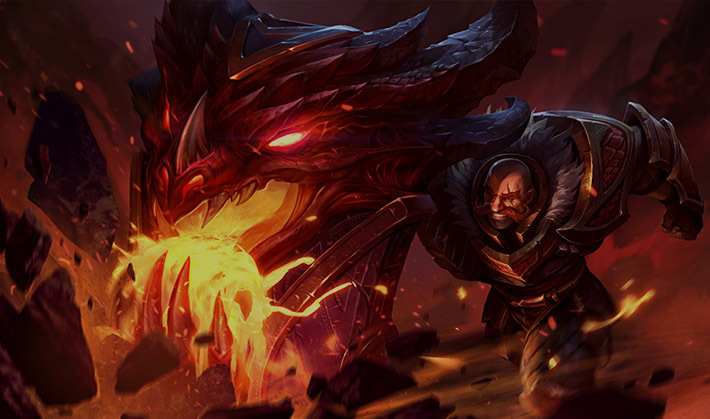 You can buy LoL skin – Dragonslayer Braum in the game shop for 975 RP. Jarvan IV is a current ruler of Demacia. And as his ancestors, he is a great warrior that lead Demacian armies into the battles, where he spit blood side by side with his loyal allies and fallen comrades. When Dragons appear he was in the first lines of those who stand against them. And after they break through the first wave of Dragon invasion, Jarvan IV created a Dragonslayer order to confront these monsters in future. Well, this is kinda old skin. Dragonslayer Jarvan IV was created in the dark ages, when Riots change only in game model, without adding any new animations, particles or sound effects. 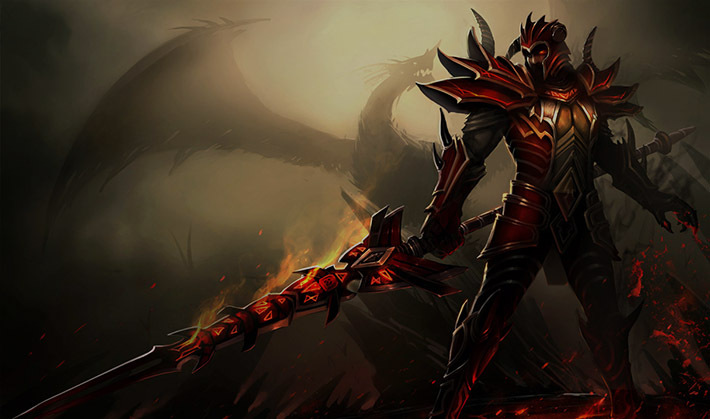 This skin represents Jarvan IV as a Dragonslayer in a dragon armor, that decorated with the horns of the slain monsters. This is still kinda cool skin, but the price is awful comparing to the modern skins. 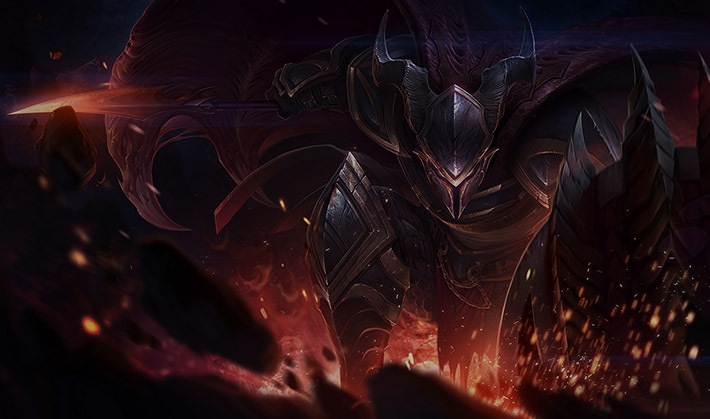 You can buy LoL skin – Dragonslayer Jarvan IV in the game shop for 750 RP. Pantheon is a great warrior that serve as an Avatar of the Divine entity of War. He always looks for worthy opponents and this time he decides that Dragons are good targets to test his skills. His in-game model gets lots of visual upgrades, that include a new model for this champion and the new weapon. Dragonslayer Pantheon was gifted with a pack of all new animations for his abilities and skills. New particle effects change his auto attacks VFX. Riots do not forget about new audio for this champion and add a new SFX to his abilities and auto attacks. With these all enchantings it is only a Regular skin, but the price is relatively high – 1350 RP. And recently Riots released chromas for this champion, so if you do not like origin color scheme, then you are free to test other colors in this Dragonslayer Pantheon skin. You can buy LoL skin – Dragonslayer Pantheon in the game shop for 1350 RP. Vayne grew up in the high circles of the Demacian society. While she was young and naive she thinking that the world that surrounds her is the safe place, but all her world crashed when an evil witch break in the Vayne’s mansion. She killed all guards and tortured her family, but little Vayne can manage to escape. In that day a burning hate was born inside. She learned dark arts and ways to confront it and became the first Night Huntress, and now she is the living legend among the habitats. As soon as she heard that dragons are going to destroy all Demacia and all that lies near, she decided to switch her’s anger from the dark forces on a Dragons. This is another old Riot’s skin and like Dragonslayer Jarvan IV, Dragonslayer Vayne did not get any great upgrades, besides new in-game model. She dressed in the armor of some blue dragon and wielding special crossbows that she uses against them. Just like in Jarvan’s case I think that this skin is overpriced and outdated. Riots need to completely rework it, even if they increase it’s cost it will be still worth it. 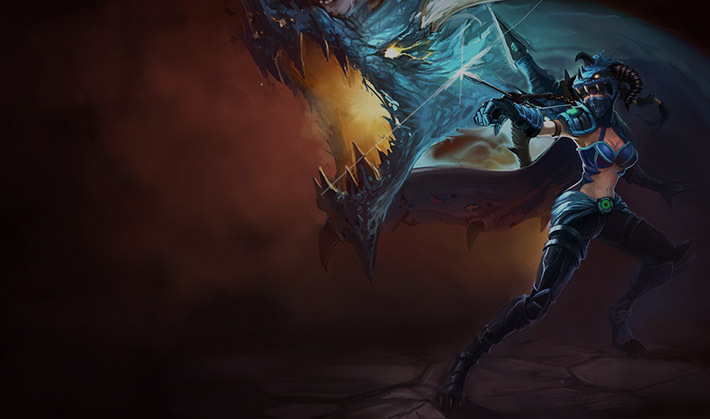 You can buy LoL skin – Dragonslayer Vayne in the game shop for 975 RP. These dragonslayers looks fancy af. Especially that badass Pantheone. Just love him. Dragon Sorceress Zyra is hot as fock! All these dragonslayers theme is so banal, but still Riot Games created these skins at a high level. Always amazed at their mastery and imagination. But to be honest this is not the best of their lane of skins. Just look at all other series, like Mecha or just Legendary skins.